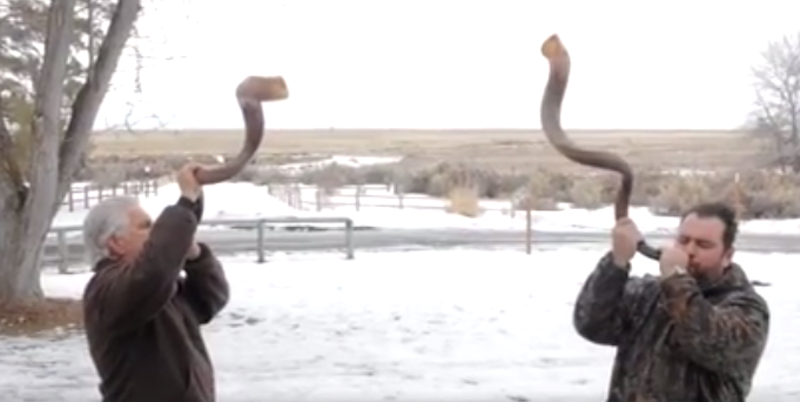 You may know the shofar as a musical instrument of Jewish antiquity, traditionally blown in synagogues during Rosh Hashanah—but did you know that right now, in the frozen hinterland of the Pacific Northwest, the Oregon militiamen are blowing the HORNS OF FREEDOM as we speak? SHARE UPDATE BURNS OREGON! CHRISTIANS THE BATTLE TRUMPET HAS BEEN SOUNDED TIME TO RISE! CALL TO ACTION SEND IN THE TROOPS TO STAND WITH US IN BURNS OREGON! The armed occupants of the Malheur National Wildlife Refuge may not be so great at propaganda, speaking, writing, or feeding themselves, but don’t you dare call them “crazy,” which is just a word the illegal IRS created to unconstitutionally tax gun factories.